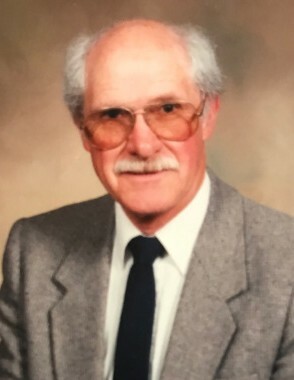 Calvert A. Johnson, 90, passed away April 14, 2019 at his home in Santa Rosa, CA. He was born October 30, 1928 in Monroe to Elvin and Freeda Winget Johnson. He married Marilyn Jean Williams June 6, 1956. She preceded him in death May 25, 2003. He was a veteran of the Korean War, serving in the Air Force. He retired as a school administrator for the Santa Rosa City Schools after 30 years. Cal is survived by his children: Richard (Helena) Johnson, Santa Rosa, CA; Jennifer (Richard) Winistorfer, Rocklin, CA; 3 grandchildren. He is also preceded in death by his parents; siblings: Golda Julander, Lynn Johnson, Ray Johnson.